Connecting movement and breath with series of poses already familiar and want to build up stamina and endurance with their yoga practice. A mindful practice linking poses with breath and a strong focus on alignment. Suitable for all levels. A class for toddlers, 1-3 yrs old and their adult! This class is playful and fun. We sing, play yoga games, become animals, and enjoy breathing and relaxation. This is a class offers a wonderful way to play and bond with your child, all while exposing them to the wonderful world of yoga! Children and parents learn techniques for relaxation and focus. Hatha yoga incorporates slow stretches, breathing and meditation that results in wonderful physical and emotional benefits. The word yoga means “union” and comes from the Sanskrit root “yuj” meaning "yoke." In this definition, yoke means to connect. When practiced regularly, Hatha yoga helps you strengthen the connection between your body, spirit and the world around you by clearing your mind and focusing your attention to the present moment. The difference between Hatha yoga and many other yoga styles is that Hatha yoga stretches are performed slowly and gently rather than energetically and repetitively. As a result, Hatha yoga is an ideal practice for almost everyone, no matter what physical shape they are in. 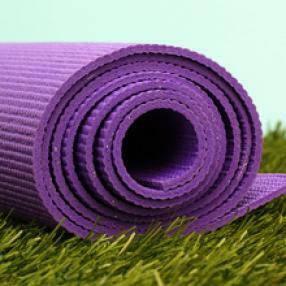 Regular practice of Hatha yoga involves very little equipment - all you need is a mat and comfortable clothing. For children 3-6 years old and their parent/caregiver. A fun, play-based class designed for children with their parents support. Songs, games, stories, and props are used to make the class fun and engaging. Children and parents will learn breathing exercises, relaxation techniques and yoga poses. Have fun moving in a way that supports, strengthens & restores your body in pregnancy & postpartum. Learn from the perspective of a Registered Midwife. Suitable for beginners, but will also be made challenging for experienced yogis. A flow class that focuses on understand the each pose through detailed alignment principals that aid in building strength, stretch and stability in the body. You will be challenged, and feel open at the same time. One hour children's yoga classes from 12:00 - 4:00 pm. Restore your core and pelvic floor. Develop pelvic floor awareness and core connection to your breath. Have fun moving with the creative use of props. Babies & crawlers welcome. Relax and renew your mind, body and soul in this gentle hatha yoga class designed to ease the body through each pose with purpose. An ideal class for the beginner yoga student. Inhale and let this class restore and rejuvenate you. The perfect combination of two favourite styles of yoga blended together into one delicious class. The Vinyasa portion will focus on integrating breath with movements, flowing into postures. In the Stretch portion, the class will shift attention towards the deep and juicy stretch of all major muscles and connective tissues through a series of slow movements and breath awareness, releasing tightness in your body, whether it's in your hips and shoulders or hamstrings and quads. An hour class that moves through a series of poses with grace and alignment. 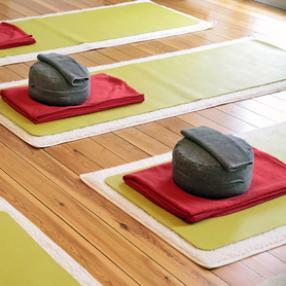 The class will challenge the body, connect you to your breath and calm your busy mind. A hatha yoga class focusing on using the breath to flow and move through asanas (poses) Class is suitable for all levels with many modifications offered to suit practitioners needs. 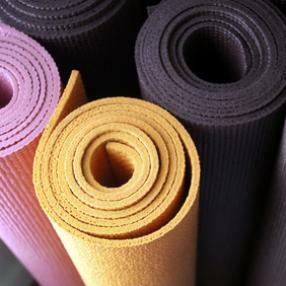 Yin yoga practice enhances the natural range of motion in the joints and connective tissues and is the perfect complement to the more active Yang lifestyles we lead. This deliciously meditative class epitomizes deep release and relaxation achieved through floor-based supported poses typically held for 3 to 5 minutes. With the support of props (blocks, bolster, and blankets), this class helps practice in an intelligent and purposeful way with enough muscular energy to release deep layers of connective tissue in the body (ligaments, tendons, fascia) without aggression or force. Yin enhances the flow of prana (life force) in the tissues around the joints, where energy often stagnates. You will learn to find comfort and stability in poses according to your own body structure and flexibility.